With The Haunting of Hill House now on Netflix, the horror show is already set to be the most talked-about series this Halloween. Part of that is due to the fact that it’s genuinely terrifying, but part of that is due to Mike Flanagan’s remarkable execution of ambitious effects, both practical and digital. Now, a new featurette gives us a look into just how that’s achieved, particularly in the series’ sixth episode, Two Storms, which combines long, unedited takes with creative camera movements and even more creative prop repositioning off-screen. Not caught up with The Haunting of Hill House yet? Read our spoiler-free review here. “I want to build a sense of tension and sustain it as long as possible.” That’s director Mike Flanagan talking about The Haunting of Hill House. The director of Oculus and Hush, Flanagan has established himself as a director not only capable of scaring people, but of finding new ways to scare them consistently, creatively and seriously creepily. His latest project, The Haunting of Hill House, promises to do that all over again, as he teams up with Netflix after Hush to take on Shirley Jackson’s legendary novel. The modern reimagining of the tale explores the lives of the five siblings who grew up in the most famous haunted house in America. Now adults, they’re reunited by the suicide of their youngest sister, which forces them to finally confront the ghosts of their own past, some of which lurk in their minds, and some of which may not. Most excitingly, though, is that the project is a series, rather than a film, which opens up a whole lot of opportunity for Flanagan to have some fun. For proof, just watch this behind-the-scenes featurette, which may well unsettle you even more than the trailer. The Haunting of Hill House arrives on Netflix on Friday 12th October – you have been warned. “What if I have a bad dream?” “I’m sure we can handle any dream you have.” That’s the sound of the family growing up in Hill House, aka. one of the creepiest homes ever seen on the big screen. And if you were afraid that Netflix’s take on Shirley Jackson’s legendary novel might not be very creepy, this new trailer for The Haunting of Hill House is a reassuring promise that you will be afraid – but for entirely different reasons. Directed by Hush and Oculus director Mike Flanagan, the series lands on Friday 12th October just in time for Halloween – and judging by this trailer, accompanied by Crosby, Stills, Nash & Young’s Our House, it’s set to be a frightfully good box set. 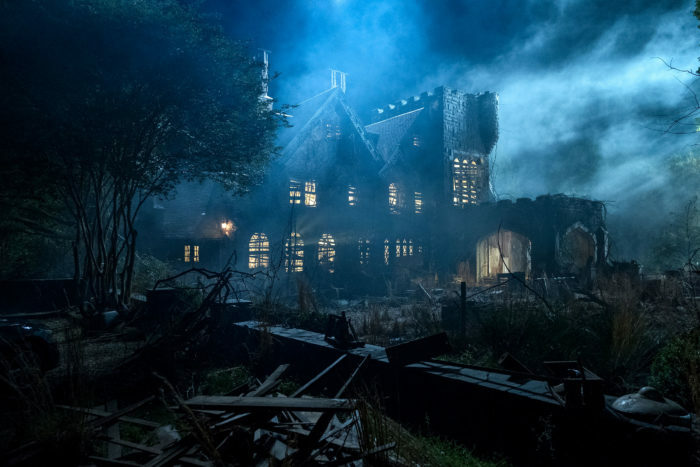 Netflix’s The Haunting of Hill House finally has a release date – and a creepy new trailer and images gives us our first look at what’s inside. From Oculus and Hush director Mike Flanagan, who writes and directs, the series is a modern reimagining of Shirley Jackson’s legendary novel of the same name, about five siblings who grew up in the most famous hauntedhouse in America. Now adults, they’re reunited by the suicide of their youngest sister, which forces them to finally confront the ghosts of their own pasts… some which lurk in their minds… and some which may really be lurking in the shadows of the iconic Hill House. Playing the family are a cast that includes Carla Gugino, Michael Huisman, Timothy Hutton, Elizabeth Reaser, Kate Siegel, Annabeth Gish and Henry Thomas. You can catch them in action in both new photos and a teaser trailer for the series below – and start bracing yourself for Hill House’s arrival on Friday 12th October, just in time for Halloween. Halt and Catch Fire’s Annabeth Gish is making the move to Netflix’s Hill House, as the series continues to build out its cast. Netflix’s re-imagining of The Haunting of Hill House was commissioned for a 10-episode run earlier this year by the streaming giant, with Amblin TV and Paramount TV producing. 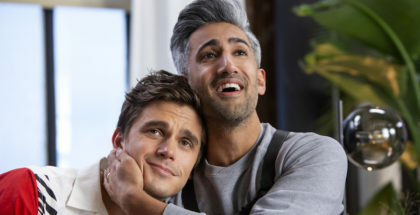 The show is written and director by Oculus and Hush director Mike Flanagan, who also exec-produces alongside Trevor Macy, Justin Falvey and Darryl Frank. Gish has recently won fans through her role as Diane Gould in AMC’s Halt and Catch Fire, which concluded its final season last month. She is also known for her role of Monica Reyes on The X-Files, which she will reprise for the upcoming season of the revived sci-fi franchise. Before that, though, she will be making a brief stay at Hill House, joining Carla Gugino, Michael Huisman, Timothy Hutton, Elizabeth Reaser, Kate Siegel and Henry Thomas in the expanded show based on Shirley Jackson’s classic novel. Gish will play Mrs. Dudley, confirms Deadline, although further details about her character are being kept firmly under wraps. Netflix’s The Haunting of Hill House continues to find more residents – and the latest stars to join the horror are the show’s youngest yet. The re-imagining of the classic horror was commissioned for a 10-episode run earlier this year by Netflix, with Amblin TV and Paramount TV producing. The show is written and director by Oculus and Hush director Mike Flanagan, who also exec-produces alongside Trevor Macy, Justin Falvey and Darryl Frank. The show will expand on Shirley Jackson’s ghost story, updating it for the modern day and exploring the mythology of the Crane family. That perhaps gives us a clue to the roles played by the latest additions to the ensemble: Paxton Singleton, who will next been seen in Henri Escoto’s sci-fi Breed and period drama Alice Fades Away, and newcomer Julian Hilliard. They join a cast that includes Carla Gugino, Timothy Hutton, Michael Huisman, Oliver Jackson-Cohen, Elizabeth Reaser, Kate Siegel, Henry Thomas, McKenna Grace and Violet McGraw. Netflix’s Hill House just got two more residents, in the form of Lulu Wilson and Victoria Pedretti. Wilson, who just starred in Annabelle: Creation, is no stranger to the horror genre: she also appeared in Ouija: Origin of Evil, directed by Mike Flanagan. 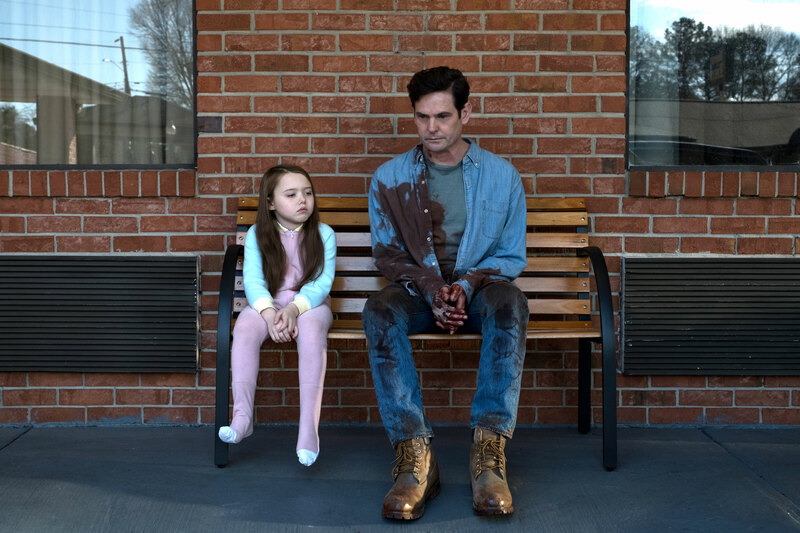 With Flanagan now helming Netflix’s reboot of The Haunting of Hill House, the casting of the 11-year-old actress marks the latest reunion for the director, who has also reteamed with Kate Siegel (Hush) and Carla Gugino (Gerald’s Game) for the project. She is joined by newcomer Victoria Pedretti. There is no word yet on who Wilson will play, but we do know that the 10-episode series will expand on Shirley Jackson’s ghost story, updating it for the modern day and exploring the mythology of the Crane family. They join Timothy Hutton, who was recently cast in the show, and is expected to play the father of the Crane family, with Gugino portraying the mother, and Michael Huisman, Elizabeth Reaser and Siegel playing the children. In the meantime, Wilson will next be seen HBO’s Sharp Objects, alongside Amy Adams. 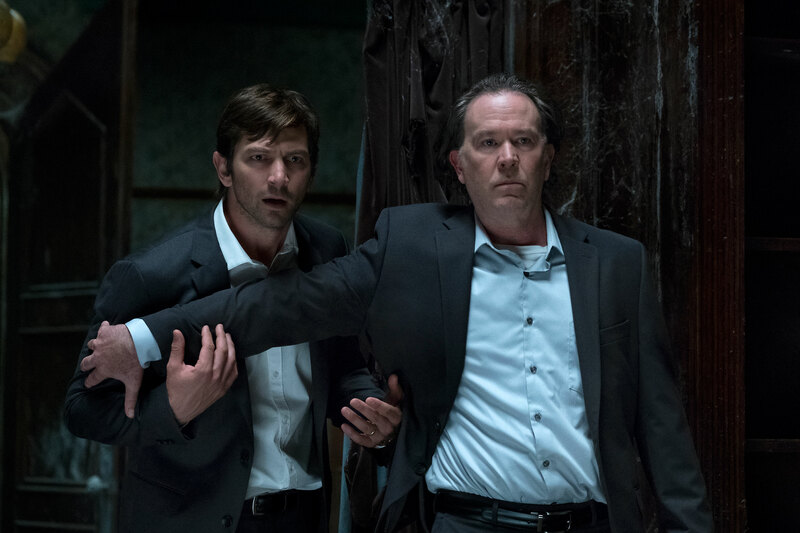 Timothy Hutton is the latest resident of Netflix’s Haunting of Hill House. The re-imagining of the classic horror was commissioned for a 10-episode run earlier this year by the streaming giant, with Amblin TV and Paramount TV producing. The show is written and director by Oculus and Hush director Mike Flanagan, who also exec-produces alongside Trevor Macy, Justin Falvey and Darryl Frank. While Flanagan is enjoying a reunion with stars from his previous films, including Kate Siegel and Carla Gugino, there are new faces in this haunted house too, from Michel Huisman and Elizabeth Reaser to Henry Thomas. They will be joined by American Crime’s Hutton. The show will expand on Shirley Jackson’s ghost story, updating it for the modern day and exploring the mythology of the Crane family. There is no word on who Hutton will play, but Deadline speculates that he will be the father of the Crane siblings (Huisman, Reaser and Siegel), with Gugino portraying their mother. Hutton will next be seen in another streaming reboot: Amazon’s new Jack Ryan series. 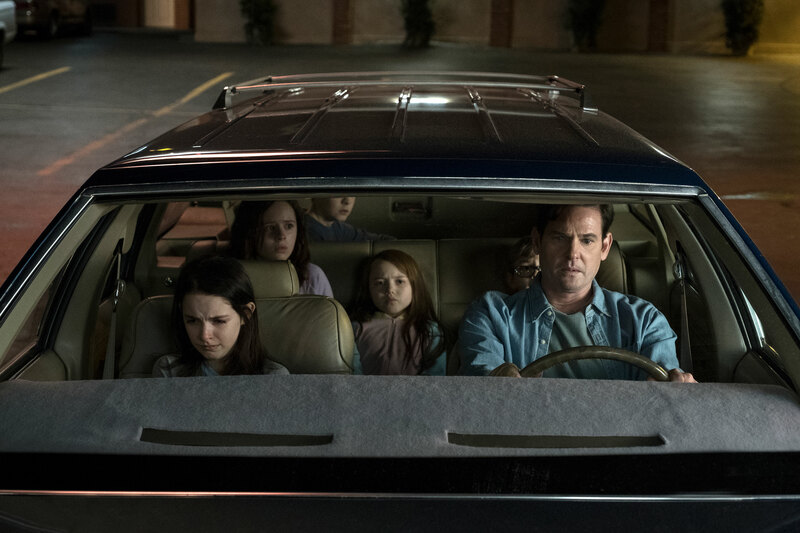 Henry Thomas, Elizabeth Reaser and Kate Siegel are joining the cast of Netflix’s The Haunting of Hill House. The re-imagining of the classic horror has been commissioned for a 10-episode first season from Amblin TV and Paramount TV. The show is written and helmed by Oculus and Hush director Mike Flanagan, who also exec-produces alongside Trevor Macy, Justin Falvey and Darryl Frank. The trio join previously announced cast members Carla Gugino and Michael Huisman on the project. Their casting marks a reunion with Flanagan, as Henry and Elizabeth both starred in Ouija: Origin of Evil, Kate starred in (and co-wrote) Hush, and both Kate and Henry also starred in Gerald’s Game. Carlo Gugino has signed on to star in Netflix’s The Haunting of Hill House series. The 10-episode adaptation of Shirley Jackson’s classic novel will reimagine the 1959 text for the modern day. 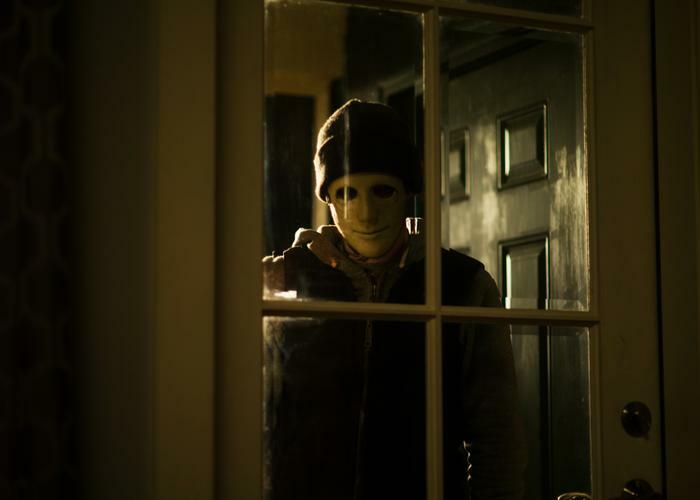 The project was commissioned earlier this year, with Oculus director Mike Flanagan at the helm – marking a reunion between him and the streaming giant, after the company snapped up his horror flick Hush as a Netflix original in 2016. He’s also directing Gerald’s Game, Netflix’s upcoming film based on Stephen King’s novel. Gugino stars in Gerald’s Game too, making this Haunting of Hill House project a double reunion for the director. There is no word yet on who the San Andreas, Watchmen and Spy Kids star will play, but she will be one of the leads opposite Michel Huisman, with Deadline reporting that the show will expand on the mythology of the Crane family. The horror series is produced by Amblin TV and Paramount TV, with Flanagan collaborator Trevor Macy exec-producing alongside the director, as well as Amblin TV’s Darryl Frank and Justin Falvey. Oculus director Mike Flanagan is making a new series based on The Haunting of Hill House for Netflix. Shirley Jackson’s 1959 novel has been brought to the screen multiple times as The Haunting, in 1963 and 1999, with the original film one of the classics of the genre. Flanagan’s adaptation will reimagine the text for the modern day, reports Deadline. The project began with Amblin TV’s Darryl Frank and Justin Falvey, with Paramount Television producing the series. Now, Flanagan has been tapped to write, direct and exec produce the programme, with collaborator Trevor Macy to co-exec produce. 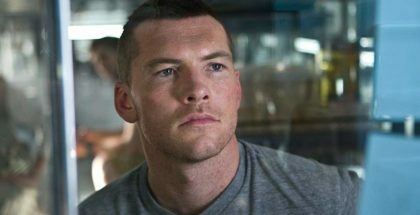 Netflix has ordered the project straight to series, with Frank and Falvey also on board as EPs. 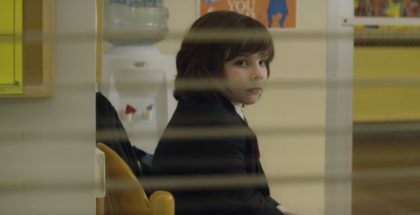 The 10-episode series marks the first scripted Netflix series for Amblin, although Amblin did co-produce Netflix’s recent documentary series, Five Came Back. The three-part programme, which includes contributions from Amblin’s Steven Spielberg, premiered last month. Paramount, meanwhile, are no stranger to to the streaming giant, producing both 13 Reasons Why and the upcoming Maniac, starring Jonah Hill and Emma Stone. Flanagan is no stranger to Netflix either: the director of Ouija: Origin of Evil, which Macy also worked on, most recently directed Hush, which was snapped up as a global Netflix original last year, and will also direct Gerald’s Game, Netflix’s upcoming film based on Stephen King’s novel. 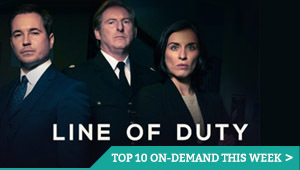 That will star Carla Gugino and Bruce Greenwood, with the VOD service releasing the show globally.